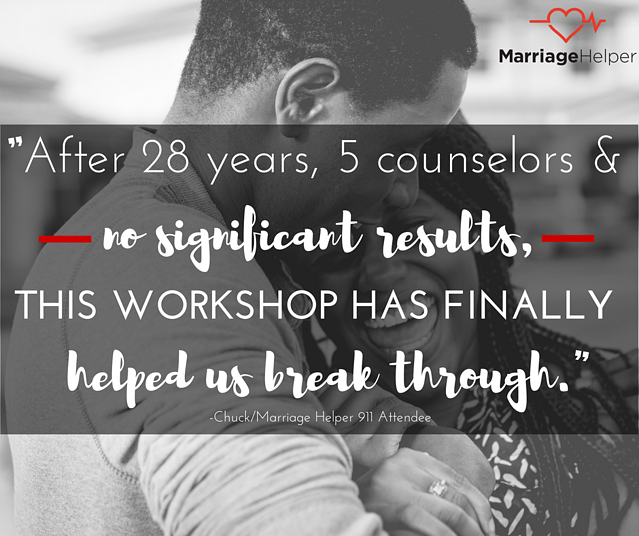 The Marriage Helper Workshop is a 3-day workshop to give understanding, facilitate forgiveness, and move forward with peace no matter what happens in your marriage. Are You Done with Your Marriage? ...but whatever it is, I understand that you are not sure that you want to stay. And I understand how you feel. 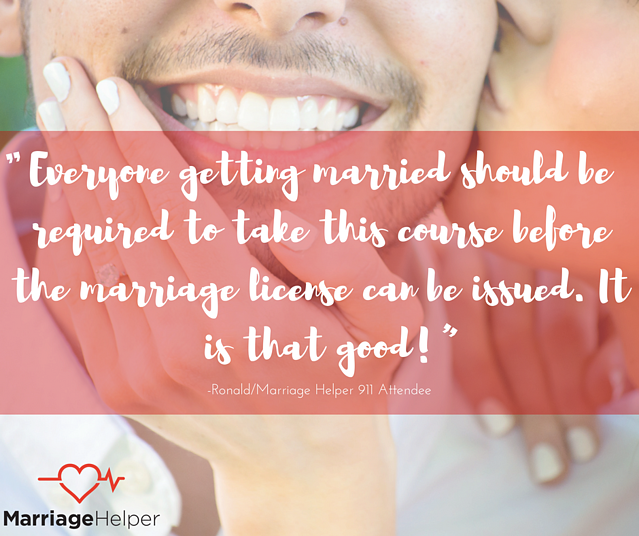 At Marriage Helper, our goal is to help people save their marriages and make things work. However, we intimately understand the mindset of a person who wants out of the marriage. We get it. We've been there, too. You are tired of being stuck in a hopeless, angry, tiring situation. And you shouldn't have to be stuck in a marriage like that. Sometimes it seems like the better choice to just end and start over with something that seems to be easier, better, and happier. Yet, ending any type of relationship isn't EASY. We want to help you make sure that you are making the best decision, and how to move forward with peace no matter what happens. ...no matter what happens in your marriage? Do You Want Your Future to Look Like Your Past? And we would like to help you find peace and have a better future. At the workshop, you don't have to share ANYTHING that you don't want to. 1. We will not judge you. No matter what has happened in your past or what you choose to do in your future, we are not here to judge you. We understand the hurdles and experiences that people go through in their marriage, and we simply want to help you understand. And to realize that, no matter what, you aren't alone. Even the people who lead our workshops have been the ones who have wanted out of their marriages. So, really, we understand. 2. We won't twist your arm to do anything you don't want to do. At this workshop, we respect every person there. We will never try to twist your arm to do anything, because we respect you. 3. We will not preach at you. In fact, we don't use religion as a reason to stay in a marriage or leave a marriage. We don't hide the fact that most of the people on the Marriage Helper team are Christians, but we do not approach the material in our workshop from a religious standpoint. In just 3 days, you will learn and be equipped with tools that actually work in overcoming your past for a better future. These tools have been fine-tuned over 20 years through working with real relationships in real crisis and desperate situations along with using the best research on what makes a strong relationship. Instead of spending months in counseling or even weeks scouring the internet, reading books, or seeking advice from people who are not trained, you can spend 3 days learning these implementable tools that will completely change your future. How People Fall in Love: Our 4-step process called “The LovePath” will teach you how people fall in love and how people fall out of love. We teach you how you can use this to rescue your marriage, even if only one person follows it. If an affair has affected your marriage, a powerful section covers how affairs happen and how they will end, as told by people who have experienced affairs personally. Why should you attend the workshop if you don't want to stay in your marriage? "I have to realize that I am not the problem, I have a problem. I just need to know what it is so I can move on." "I'm at my wits end. I can't do another 10 years like this. I'm lost and anger and pain, and I want to get past that." "Understanding what makes me happy is a hard thing. I don't know who I am anymore...I need to find out who I am for me." "I'm not sure I want to stay in my marriage. I don't know how to be happy in this relationship...or any relationship." "I can't even describe what a happy, fulfilling relationship would look like because I can't describe something that I don't know anything about." We help people understand what has happened and how to have a better future. This isn't a marriage workshop. This is a LIFE changing workshop. No matter what happens going forward. Worried that you will be the only person there who doesn't want the marriage to work? It is not uncommon to have one spouse who does not want to attend the workshop. 90% of the couples that attend our workshop have one spouse who wants out of the marriage. ...whether they choose to work on their marriage or not. We respect everyone, and we respect everyone's decision to stay married or not. However, our workshop teaches how to have healthy relationships. It is VITAL for finding peace, having healthy relationships in the future, and co-parenting, as well as having a healthy relationship with your children - especially if a divorce occurs. Want to talk to us about it? Call us at 615.472.1161. 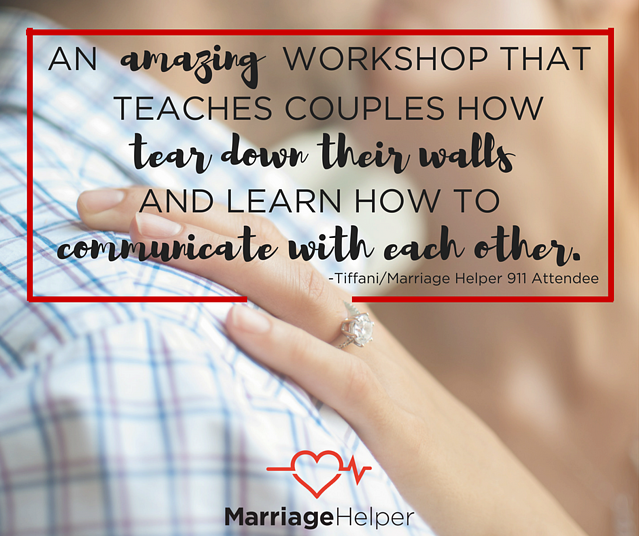 We Would Love To Meet You At the Marriage Helper Workshop. Contact Us Today. All of our workshops are held in our headquarters city of Nashville, Tennessee. Don’t give up! We still have an option for you. You can begin with our online Save My Marriage program. For more information, click here. Do you feel that you are at your wits end? That you are lost in the anger and pain and want to get past it? If you answered yes to this question, the workshop is for you.